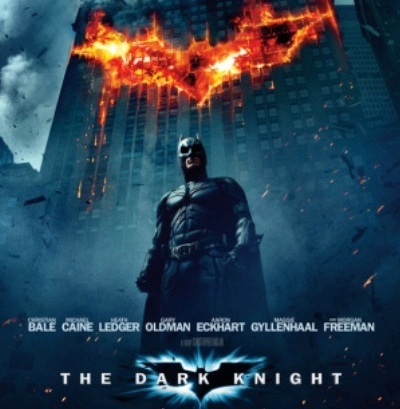 The Dark Knight, Christopher Nolan's sequel to Batman Begins, stars Christian Bale as Batman and Heath Ledger as the Joker. This ultra-noir Batman, from the director of Memento, is nothing like the camp 1960s TV series, and is even darker than Tim Burton's Batman and Batman Returns. The film was immensely popular, primarily due to Ledger's unrestrained performance as the nihilistic Joker. An IMAX version has also been released, as six sequences were filmed in that format. Perishable Beauty, running from 28th November 2008 until 22nd February 2009) at Bangkok's TCDC, is an exhibition exploring the transience of physical perfection (also the theme of The Way Of All Flesh, by Midas Dekkers). The exhibition's installation is stunning, though the exhibits themselves are less substantial. A banqueting table laden with rotting food, sealed in an air-tight tank and growing mouldier every day, is the most impressive exhibit. There is also a diamond created from human ashes, produced commercially by Algordanza. Other displays, relying on TV clips, photographs, and everyday objects, are underwhelming. Although the Perishable Beauty poster is seemingly inspired by Orlan, her work is not included in the exhibition. Also, the exhibition is filled with dead flowers yet Otto Berchem is not represented. (His sculpture Deadheading was shown in Bangkok two years ago, at The Suspended Moment.) Indeed, the exhibition is more suited to a museum than to TCDC, as it's educational rather than artistic. 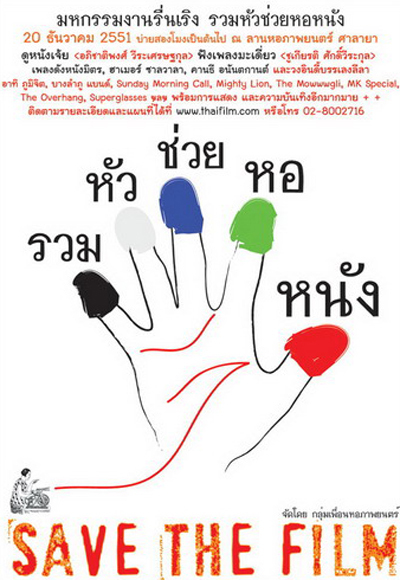 The Thai Film Archive (in Salaya, near Bangkok) is hosting an event called Save The Film tomorrow afternoon. Two of Apichatpong Weerasethakul's recent films will be shown: Luminous People (which premiered at Traces Of Siamese Smile) and Morakot (which was previously screened at Tomyam Pladib). Democrat leader Abhisit Vejjajiva has won this morning's parliamentary vote, and has thus become Thailand's new Prime Minister. Abhisit's coalition partners resisted lucrative offers from Puea Thai, perhaps after behind-the-scenes pressure from the army and Democrat deputy leader Suthep Thaugsuban. Following the PPP's dissolution, a key PPP faction led by Newin Chidchob shifted its allegiance to the Democrats, after Newin telephoned Thaksin Shinawatra to say: "It's over, boss". 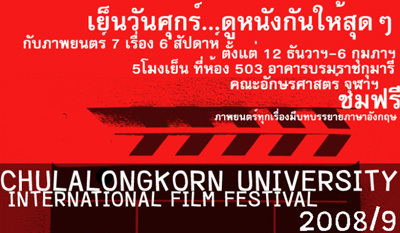 Chulalongkorn University's International Film Festival has returned, running from today until 6th February 2009 in Bangkok. 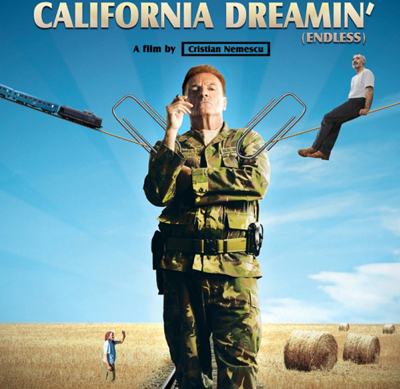 The main attraction at the previous festival was Four Months, Three Weeks, & Two Days, and this time the highlight is another Romanian film, California Dreamin' (showing on 23rd January 2009). All screenings are free. 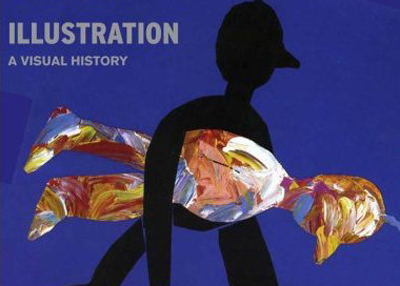 Illustration: A Visual History, by Steven Heller and Seymour Chwast, features a chronological account of the history of commercial illustrations from Victorian caricatures to digital art, via pulp novels, psychedelic posters, and satirical cartoons. It includes representative examples of magazine covers, advertisements, comics, and typography. Jan Peter Balkenende, the Prime Minister of the Netherlands, has released a statement condemning a short film titled An Interview With Muhammed. In the film (directed by Ehsan Jami, who screened it at a press conference in the Dutch parliament on 9th December), an actor wearing a Mohammed mask gives his views on contemporary Islam. Balkenende announced: "The Dutch government... regrets the fact that Mr Jami's film deeply offends the feelings of many Muslims". "The Court had no other option..."
The head of the nine judges defended their decision, saying: "The Court had no other option". The judgement marks the third guilty verdict against Thaksin's parties, after Samak's disqualification and the dissolution of TRT. Today's decision seems suspiciously like an attempt to placate the PAD, and it has already been described as a judicial coup. The good news: today will be the final day of the People's Alliance for Democracy's occupation of Government House. The bad news: the protesters will go directly from Government House to join the PAD's blockades of Suvarnabhumi and Don Mueang airports. Both airports have been declared emergency zones. Meanwhile, with Suvarnabhumi closed for a whole week due to the demonstrators, there has still been no serious attempt by the police to remove the PAD. The Prime Minister is in hiding, and army chief Anupong Paochinda has called on him to resign (in an interview with Channel 3 on 16th October). Anupong surely deserves dismissal for insubordination, though sacking him could provoke other army generals to launch another coup. In what it called a "final war", the PAD occupied Government House for three months, completely unopposed by the police. At the start of the occupation, one of the PAD's core leaders, Sondhi Limthongkul, gave an interview to the Bangkok Post newspaper in which he irresponsibly goaded the army to launch a coup ("soldiers today are cowards") and self-righteously positioned himself as the protector of the monarchy ("If we don't do it, the monarchy might collapse"). Despite its name, the PAD's policies are absolutely undemocratic. Sondhi has called for a "new politics" which would result in only 30% of MPs being elected, with the other 70% being appointed.